EL PASO - June 30, 2017 - Army veteran Justin Griffin has been named the winner of the Bank of America Manager for a Day announced the Chihuahuas. Griffin, who was nominated via a social media contest, will fill the role on Sunday, July 2nd during the GECU Independence Day Celebration as the Chihuahuas take on the Reno Aces (Arizona Diamondbacks) at 7:05 p.m.
Griffin's honor comes in addition to a $10 military offer on Zone E, K, L & Standing Room Only (SRO) tickets as well as the best postgame Fireworks Spectacular in El Paso on July 2nd and July 3rd. "I can't even put into words how thankful I am for my amazing wife, wonderful family, friends, and for such a great organization for even making this possible," Griffin said. "This is truly an honor and a dream come true. I feel like a kid again!" "Bank of America is thrilled to partner with the El Paso Chihuahuas on the Manager for a Day program to recognize a military family in the community," said Kristi Marcum, El Paso Market President for Bank of America. "We are committed to honoring their service by creating greater economic mobility opportunities for our veterans across the country, whether that's by committing to hire 10,000 veterans, providing financial training to service members and their families transitioning to civilian life, or working with nonprofits to provide housing and supportive services to our veterans." Born in Dallas, Texas on November 15, 1984, at the age of 19, Griffin joined the Army on September 30, 2004 and made his first deployment to Afghanistan with the 82nd Airborne Division out of Fort Bragg, N.C. Following his tour in Afghanistan, Griffin was assigned to Fort Bliss and deployed to Iraq with the 1st Armored Division. During Griffin's 12 years of service he received multiple badges, awards and medals. These include but are not limited to the Combat Action Badge, six Army Accommodation Medals, eight Army Achievement Medals, four Good Conduct Medals, and the Humanitarian Service Medal for his assistance with Hurricane Katrina relief. He was also awarded the Joint Meritorious Unit Citation, U.S. Army Airborne Wings, U.S. Army Air Assault Wings and multiple foreign Parachutist Badges, to name a few. Following his retirement, Griffin is now a stay at home dad to his two sons, Reece (3), and Bennett (1), and is a loving and devoted husband to his wife Karla. 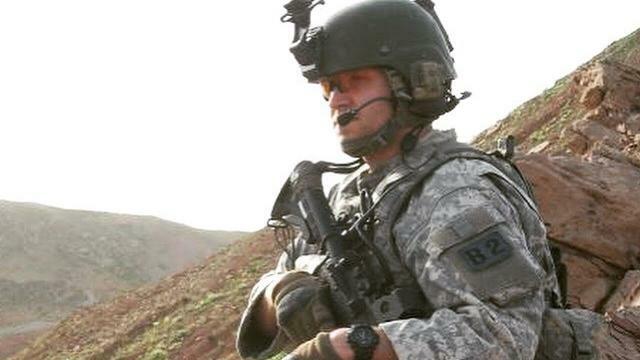 "Along with Bank of America, the Chihuahuas are honored to announce Justin Griffin, a true American Hero, as the Manager for a Day," said Chihuahuas Vice President and General Manager Brad Taylor. "His outstanding leadership skills and experience can only serve to motivate all around him." Griffin was nominated by his wife, family and friends through a social media contest held by the Chihuahuas. Fans were asked to submit a veteran they felt deserved to be the Bank of America Manager for a Day along with a biography. Four finalists will be honored during the game on Saturday, July 1st. They are Antonio Garcia, David Nevarez, Roman Sandoval, and Michael Velez. As part of the GECU Independence Day Celebration, and to honor all military past and present, the Chihuahuas are offering $10 Zone E, K, L, and Standing Room Only (SRO) tickets for July 2nd and July 3rd. Tickets for military are available at GOVX.com or by visiting the Chihuahuas Durango Box Office located at Southwest University Park. Gates open at 6 p.m. and 5:30 p.m. on the 2nd and 3rd, respectively, with first pitch slated for 7:05 p.m. on both nights. Plenty of great seats remain for the GECU Independence Day Celebration that includes three nights of Fireworks Spectacular! Fans are encouraged to purchase in advance as prices increase on day of game. Fans can buy tickets at EPChihuahuas.com or in person at the Durango or Santa Fe Box Offices. The Durango Box Office is open today through Monday, from 10 a.m. to end of the game and the Santa Fe Box Office opens at 2 p.m.
JUSTIN GRIFFIN: Born in Dallas, Texas on November 15, 1984, at the age of 19, Griffin joined the Army on September 30, 2004 and made his first deployment to Afghanistan with the 82nd Airborne Division out of Fort Bragg, N.C. Following his tour in Afghanistan, Griffin was assigned to Fort Bliss and deployed to Iraq with the 1st Armored Division. ANTONIO GARCIA: Antonio Garcia served in the United States Army with the 160th Special Operations Aviation Regiment (SOAR) stationed at Fort Campbell, Ky. Garcia was an Aircraft Electrician, working on the UH60 Blackhawk. During his years of service, he received the Air Medal for Persian Gulf Operations, the Armed Forces Expeditionary Medal (for Persian Gulf Operations), the Army Commendation Medal (1st Oak Leaf Cluster), and the Army Achievement Medal. DAVID NEVAREZ: David Nevarez served as a Marine from Sept 7 1983 - July 7th 1991 as a Logistics Specialist at various Commands during his time in service. He spent many hours on the flight line and pier side ensuring all Marines and equipment were accounted for. Nevarez was assigned to 5th Marine Regiment when they were called into Desert Storm and was part of the Logistical Team that assembled the Largest Amphibious Force since the Korean War and served on the USS Tripoli, USS Denver and USS Barbour County. He was part of Regimental Landing Team 5, the Forward Element of 5th Marines during Desert Storm and was assigned to Task Force Papa Bear. Nevarez received numerous awards including the Joint Meritorious Unit Award, Navy Unit Commendation, Meritorious Unit Commendation, Marine Good Conduct Medal with 1 Star, Humanitarian Service Medal, Southwest Asia Service Medal, Kuwait Liberation Medal (Kuwait), Kuwait Liberation Medal (Saudi Arabia), and the National Defense Medal & Combat Action Ribbon. Nevarez is married to Sandra Nevarez has three children, Adeliade Redding of Jamul, California, and Esteban and Emilio Nevarez. ROMAN SANDOVAL: Roman Sandoval is an Army Combat Veteran from El Paso. He enlisted in the US Army in 2001 and was stationed at Ft. Bliss as an Automated Logistics Specialist. Sandoval was a member of the 5/52 11th ADA Brigade's 507th Maintenance Company. While serving he earned numerous awards including the Unit Soldier of the Month, Battalion Soldier of the Quarter, and Brigade Soldier of the Year nominee, Army Service Ribbon, Army Good Conduct Medal, National Defense Service Medal, Global War on Terrorism Expeditionary Medal, and the Global War on Terrorism Service Medal. The only tour was a deployment for Sandoval was with the 507th to Iraq in 2003 at the start of Operation Iraqi Freedom. While serving, his unit was ambushed; nine friends and coworkers were killed in action while six others were captured as prisoners of war. He returned safely home. MICHAEL VELEZ: Michael Velez joined the Marine Corps in September of 2008 and attended the Amphibious Assault Vehicle school and assigned to North Carolina with the 2nd AAV Battalion. Velez was attached to Bravo Company and began doing training for a deployment to Afghanistan. Deployed in December of 2009 to the Helmand Province in Southern Afghanistan, he was part of Operation Moshtarak or also known as "The Battle of Marjah" which was the biggest joint operation in Afghanistan to date. Velez received numerous awards including the International Security Assistance Force Award (ISAF), a Navy Unit Commendation Award, and a Meritorious Mast given to me by my unit for actions in Afghanistan. He was Honorably Discharged in June of 2012.